From the moment the DS staff first met Alyssa Allen—back in 2014, when she was one of our Cover Model Search finalists—we knew she was going to do great things. Now, she's entering her final year of college as part of Kaufman's inaugural class. For Allen, Kaufman's artistic opportunities have felt like a gift. "I've realized that school and education are my priorities," she says. "Short-term dance opportunities will always be there, so I'm trying to pursue long-term success." That said, she has been able to book commercial jobs and build her resumé during off-times. At Kaufman, Allen has discovered that she loves connecting academics with artistry. "I grew up only knowing dance. I was in love with it. And that love has only grown as I see the importance of outside knowledge," she says. "Psychology has really spoken to me, understanding both the body and the mind. I'm very attracted to the whole human." Shortly after starring in the 2014 DS video series "The Road to Nationals," Jake Tribus was on the road to college. "I knew right off the bat that I wanted a four-year experience, four years of foundational training," he says. "And I wanted a program that incorporated everything, because I grew up very versatile." 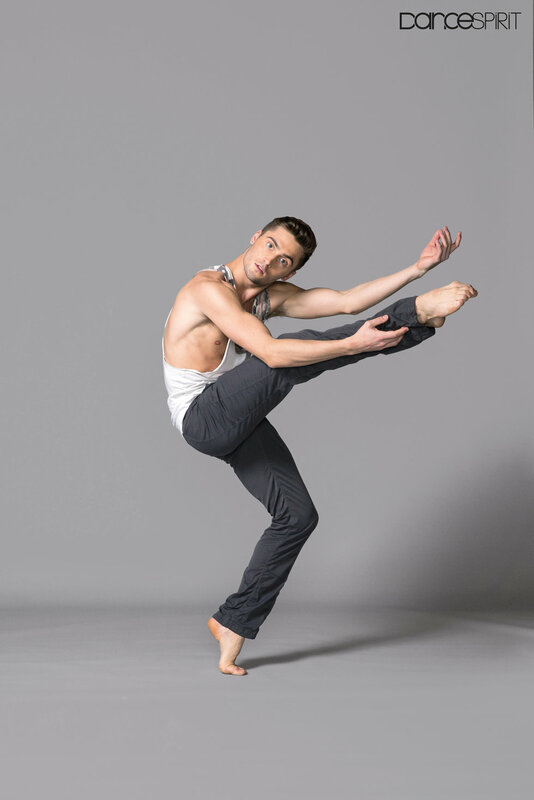 As he navigates Kaufman, Tribus is learning how to be a dance leader, and to combine his passions. "I'm really curious about art, design, and business," he says. "When I graduate, I want to know how to do what I want to do." He's also figuring out his professional work ethic. "I've been thinking about how to get the same result from hard work without overworking myself," he says. "I can be a perfectionist and that gets in the way of my progress. I'm learning how to take the feedback I'm given and apply it instead of being overwhelmed." A few years back, Simrin Player stole our hearts (and landed our November 2013 cover) as a tiny b-girl. But she's grown into a highly successful and incredibly well-rounded dancer—and even in her earliest dance days, she knew she wanted to go to college. "My parents instilled that in me," she says. USC was her top choice even before she heard about the Kaufman School. She's found the intimacy of a college program to be really special. "You get to work one-on-one with legends," she says. Player's already-impressive commercial career hasn't slowed down at all during college. "Kaufman has been really understanding about professional development opportunities," she says. These days, though, she's showing up to gigs with a fresh sense of perspective, thanks to her academic classes. "I took a course about dance and feminine sexuality within Western and non-Western forms," she says. "It made me think about how I can approach commercial dance within the entertainment industry."